recently i was sent the lipstick that has been generating a lot of buzz on the internet these days. it is called LipSense by SenseCosmetics and it is an all day wear lipstick that doesn't wipe off. i feel like this type of product can be a bit fad-ish and the buzz eventually wears off but it seems as though the buzz just continues to grow for this product. it is sold through personal distributors and i was contacted by one (Lipstick With Julie on Facebook) offering to send me the product to try. 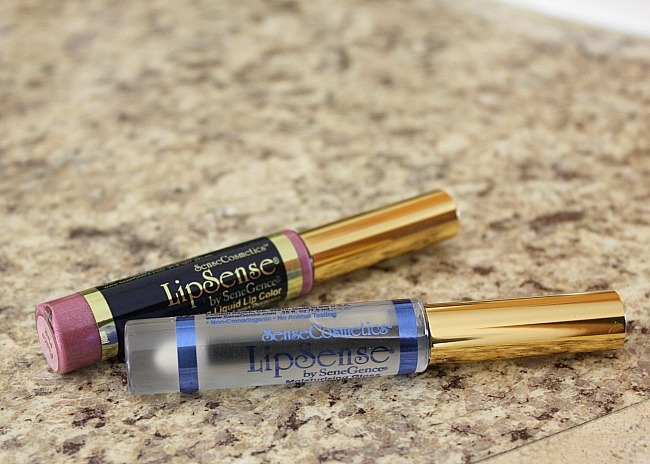 because i had heard about it i was definitely interested in whether LipSense would live up to the hype. additionally i have a friend who is a beauty blogger who has just started selling it as well and has done nothing but raved about how much she loves this product so i was definitely on board. let me just start by saying that my first experience with the product wasn't great. my personal distributor had warned me that there was a bit of a learning curve and i had shrugged it off thinking 'i'm a beauty blogger - how difficult can it be?' i learned as soon as i applied it that i needed a bit of coaching. the first application of the product stung like crazy. i was surprised to see how much it burned and thought maybe i was having a reaction to it. additionally, my lips peeled and peeled and peeled for days after using it. imagine the strongest exfoliant and that is what it felt like was happening to my lips. needless to say i was a bit hesitant to continue. i pushed through because i had heard so many good things about this product and after about a week and a half i started noticing a difference. it was no longer uncomfortable to apply. my lips weren't peeling nearly as much as they were in the beginning and the staying power was impressive. i don't know if i consider myself a true convert to this product but i can definitely see its value. i like that i wake up in the morning and there is still lipstick on my lips. i like the idea that red lipstick (notorious for smearing and rubbing off on your teeth) stays put. i like that there is a large range of colors to choose from (most product lines only offer about 8-10 colors) and that there is a shade for every skin tone. i am going to continue using the product because it has only been about 2.5 weeks now and will update you on my thoughts in another week or two. in the meantime, if you are interested in purchasing the product you can purchase it through a personal consultant HERE. 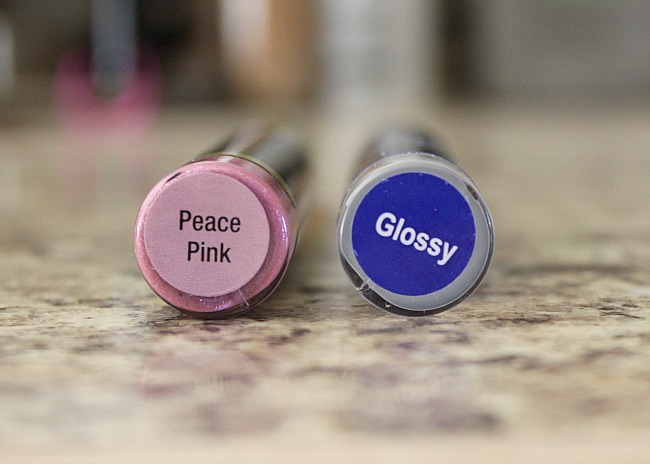 i have had the product for several months now and have received new colors from other friends and consultants and have slowly been converting to this lip color. i like that it doesn't kiss off. i give my baby probably close to a million kisses a day and being able to give him kisses without having it leave a mark on his sweet little baby face is a pretty big perk. when you go from kissing your kids a couple of times a day to kissing your sweet little baby all day every day it can get a little messy on your little one's face unless you have this transfer proof lip color on your lips. second, i like not have to reapply. i didn't realize how often i reapply my lipstick until after i had the baby because it is virtually the last thing on my mind and unless i am wearing LipSense i DO NOT remember to reapply and my lips go bare all day long. you might not think that is a big deal but when you have mini lips like mine keeping color on them goes a long way. the more i use the product, the more i like it. yes, i still experience A LOT of exfoliating when i use it (somehow that doesn't seem to diminish for me, even with continued use) and NO, there is no such thing as wax build up on your lips from lip color and that is why your lips are peeling (WHY are they teaching their consultants to tell everyone this?!?) but the positives outweigh the negatives for me and i will continue to use this lip color. my friend Anna Marie has a Facebook group you can join if you are interested in picking up some color: Around The Clock Color With Anna Marie.